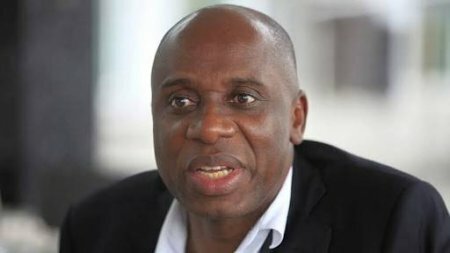 The Minister of Transportation, Mr Rotimi Amaechi has directed that the station managers, porters, and ticket officials at Idu and Rigasa rail stations be removed for alleged ticket racketeering at the stations. Amaechi gave the directive while inspecting the Abuja-Kaduna rail stations on Friday in Abuja. According to the minister, the directive has become imperative following complaints of passengers over racketeering of VIP tickets at the stations. He also decried the poor maintenance of the facilities, as well as the untidy surroundings of the stations. “I am removing the station managers in Idu and Rigasa, the porters and ticket officials will be removed let’s see if it will resolve the complaints of passengers using the rail. “Some of them have complained on the social media, I believe that if any system fails, it is because the leaders allow it to fail and I will not allow that. “The money we are spending monthly, is it just for diesel alone? Is it for general maintenance of all the stations and the environment, we will fix the lift within one week to ensure that passengers use it for their luggage,’’ he said. He said that removing all these officials would put a stop to workers nonchalant attitude toward work and stop ticket racketeering in the stations. The Manager, Abuja-Kaduna Train Service, Mr Paschal Nnorli said that he had to disguise as a passenger to be able to confirm the complaints by passengers. Nnorli said one of the portal boys was caught in the act. Newsmen report that the 11 ticket officials affected at the two stations are to be replaced, while the minister also scrapped the use of porter’s boys for carrying luggage. Corruption everywhere, they want to make extra cash na. Oya come and put me there.